Lynn McKnight built a visually pleasing and functional cart for her PantoRouter™. Follow the link to see how she designed and built it. 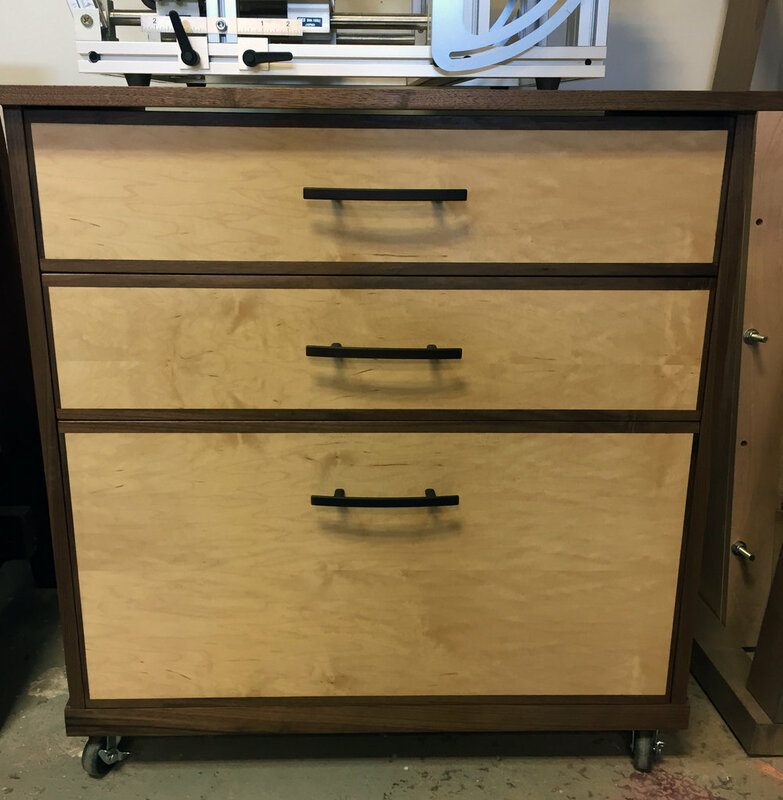 Matched drawer fronts, casters and plenty of storage make this cart functional and beautiful.